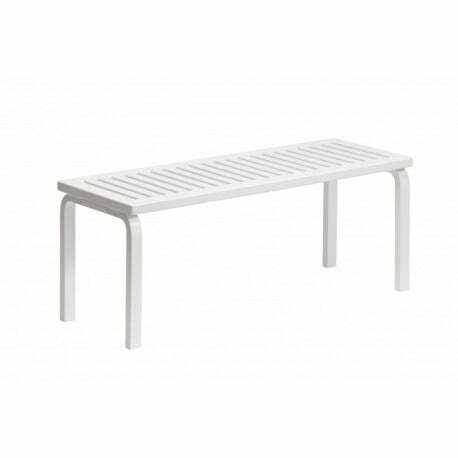 This simple and timeless Artek Bench 153A, designed by Alvar Aalto in 1945, easily integrates in any interior. 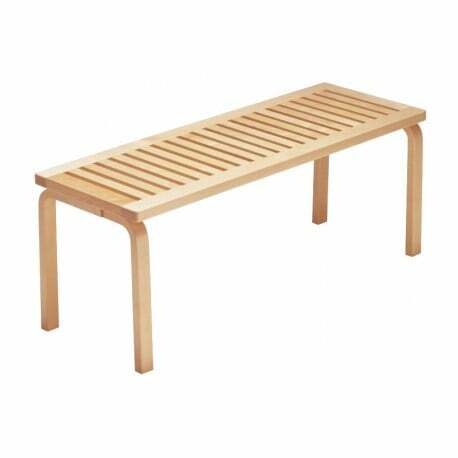 You can use this sturdy piece of furniture (length 112.5 cm) as a bench, a side table or a TV stand, in your veranda, hall, etc. 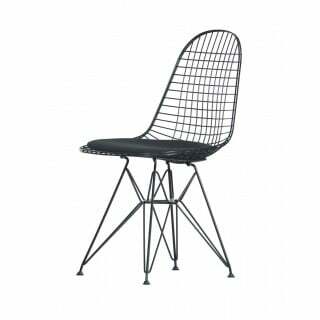 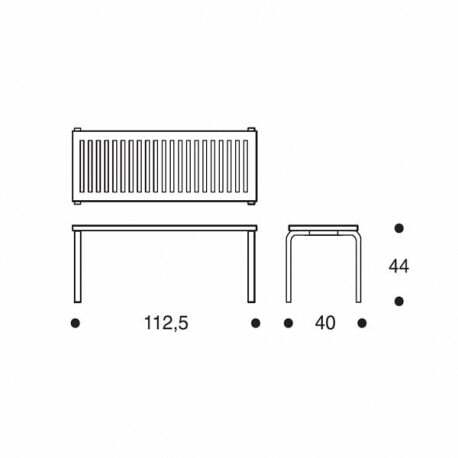 This simple design has the typical L-shaped legs that you also see with the stools and chairs by Alvar Aalto. 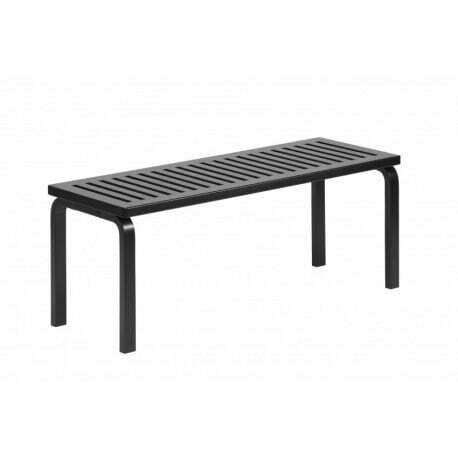 Artek Bench 153A is available in 3 colours (natural varnished or white or black painted) and there is also a smaller version (length 72.5 cm Artek Bench 153B).